Lenovo is a Chinese multinational computer technology company with headquarters in Beijing, China, and Morrisville, NC. They are a major partner of Extreme Networks, who is based out of San Jose, CA. 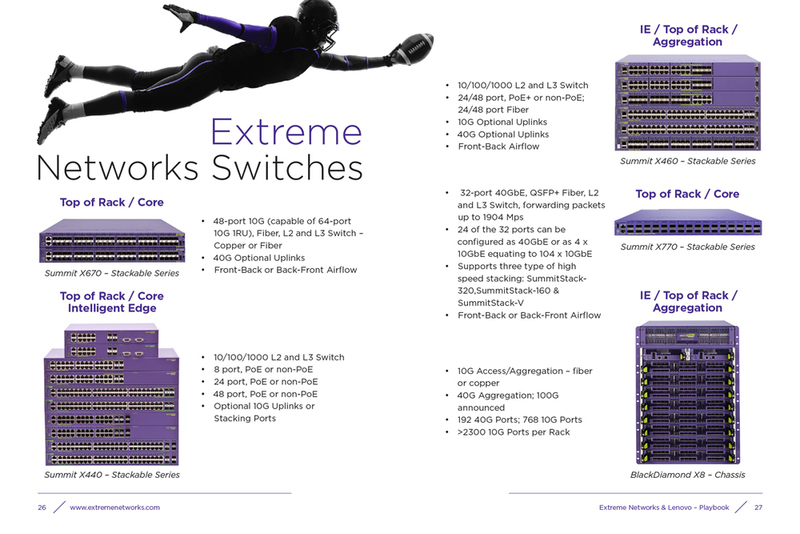 I was asked to put a playbook together as a key piece of collateral to engage the Lenovo sales team in their role of selling Extreme Networks switches. 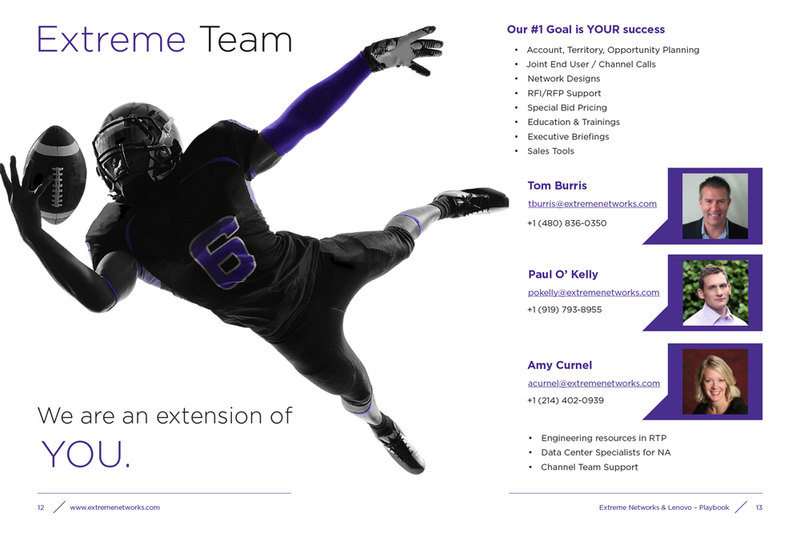 The message conveyed throughout the playbook is "simple, fast, smart" and that's what Extreme Networks products deliver. Why the football theme, you ask? This asset was created when the NFL announced their partnership with Extreme Networks – the "Official Wi-Fi Solutions Provider of the NFL."